The Sterilite shoe drawer comes in a set of 6 to get your organized. There Sterilite storage drawers feature a white frame with a clear drawer the slides smoothly. The top of these shoe drawers is grooved which makes them stackable. The Sterilite shoe drawer (also known as Sterilite 2051) snaps together for extra stability. These plastic shoe drawers can be used for much more than shoes. 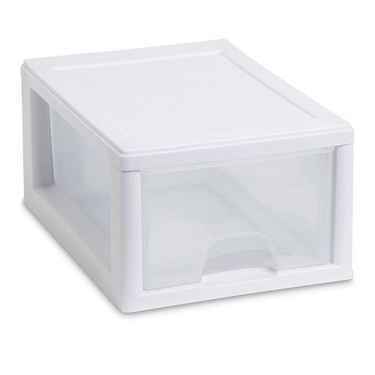 See Also: Sterilite storage boxes and Sterilite drawers.